Just hit the market! Unlimited possibilities with this property. 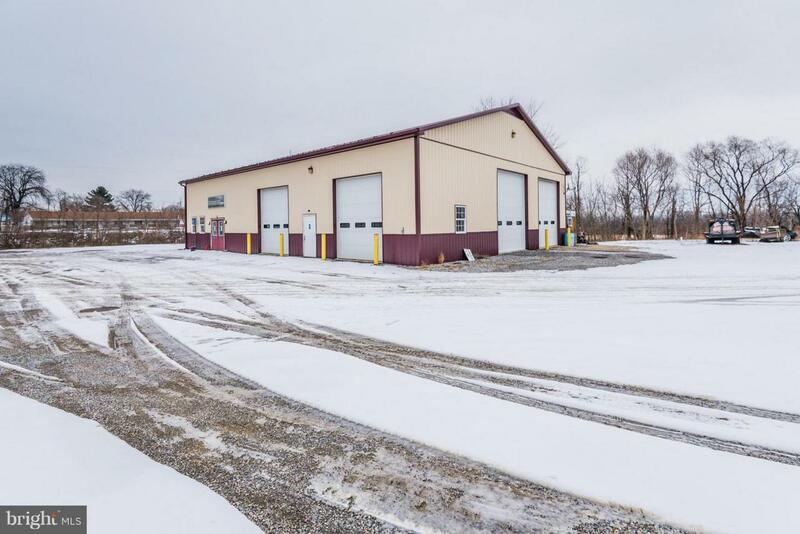 Nearly 4,000sqft which includes 6 over-sized garage bays, a separate office, bathroom, storage and a second story loft! Two of the garage doors are 12ft and the other 4 are 14ft, Vehicle lifts convey with the sale, along with many other items, if needed! 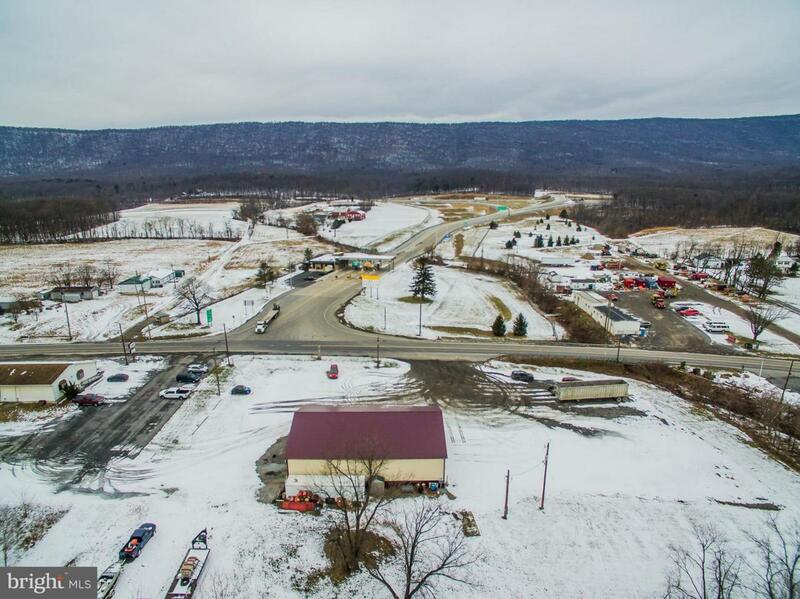 3 acres located directly across from the PA Turnpike (Blue Mtn Ext 201) and right along the busy 997. Bring your business! Or purchase as an investment property! 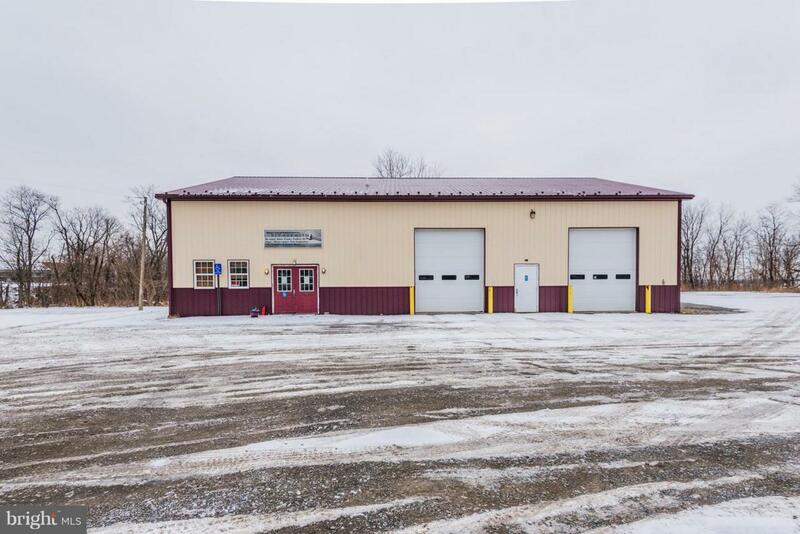 Property is currently leased until June 1, 2019. Love working on cars, trucks, suvs? This place is perfect! 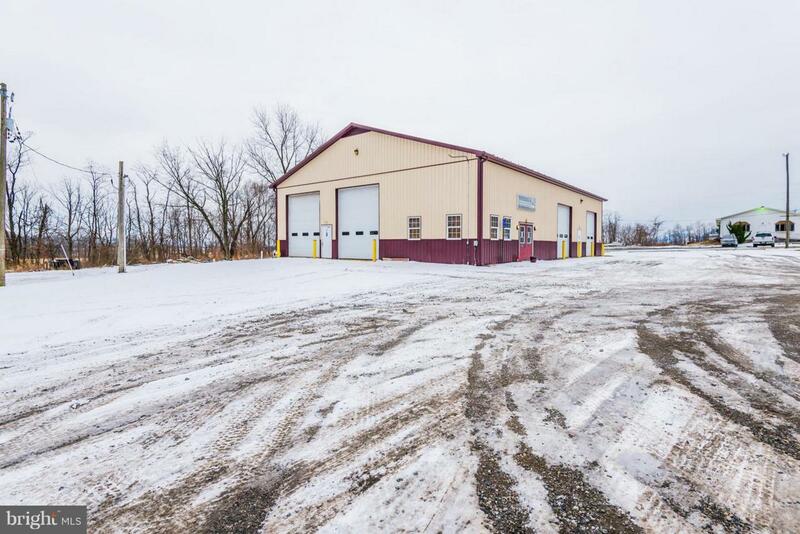 Need a place for working on your farming equipment or storing for the winter? This place is perfect! Don't miss your chance, priced to sell less than appraised value! Call today! Zoning Description Lurgan Township Does Not Having Zoning Restrictions. Acceptable Financing CashConventional Accessibility Features 32"+ Wide Doors>84" Garage Door Assessment Year 2018 Association YN No Business Type IndustrialProfessional ServiceProfessional/OfficeRetailStorage Buyer Financing Conventional Central Air YN No Close Sale Terms Standard Sale Cooling Fuel Electric Electric 200+ Amp Service Foundation Details Slab Gross Income 30000.00 Heating Fuel ElectricOil Historic YN No Hot Water Electric Incorporated City Name Lurgan Township Lease Considered YN Yes Load 6 - 10 Grade Navigable Water YN N New Construction YN No Original MLSNumber 301369697872 Ownership Interest Fee Simple Possession 61-90 Days Cd Property Sub Type Other Sale Type Standard Sewer Holding Tank Tax Annual Amount 2060.0 Tax Assessment Amount 14440.0 Vacation Rental YN No Water Source Well Zoning C Zoning Description Lurgan Township Does Not Having Zoning Restrictions.